Dr. Brown grew up in Southern California. He graduated college at CSU Long Beach in 1986 and graduated from UCLA Dental School in 1990. He completed his general practice residency at the VA Hospital, La Jolla in 1991. Dr. Brown has practiced in San Diego since 1993. Dr. Brown has dedicated his practice to offering complete, modern dentistry to all patients. He is a member of several professional organizations and participates in local study groups to keep up with the latest techniques. He has made a commitment to providing services that will enable his patients to obtain their optimal dental health. "I believe that everyone should be given the opportunity for excellent dental health." Dr. Brown feels like it is important to practice what you preach, so he lives a healthy,active lifestyle. His favorite activity is surfing. 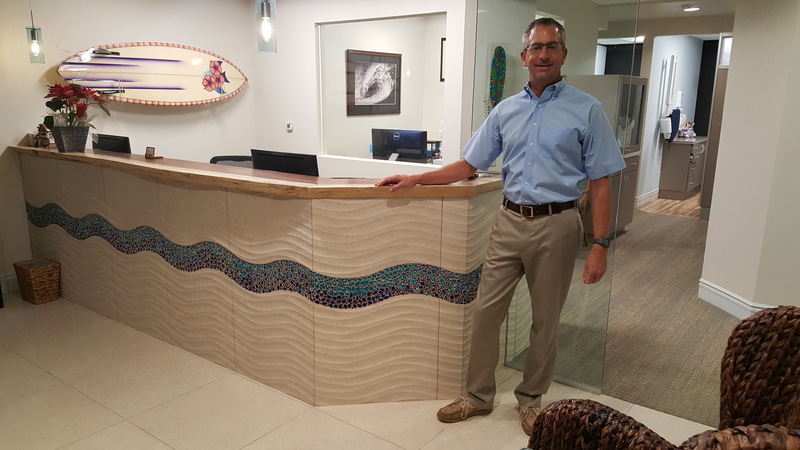 Dr. Brown surfs every week and surfing has taken him to many destinations that he would never have thought to go. He enjoys hiking and is a budding fly fisherman. His fishing good luck charm is his dog, who is always standing by ready to bring the fish to shore.